Coin Collecting Guide For Beginners is dedicated to helping the beginner learn all about the fun, fascinating and rewarding hobby of collecting coins. If you are looking for information about collecting coins, you have come to the right place. Most people think that collecting coins is only for the rich, but believe me, you will find collectors from all genders, nationalities, ages and income groups.. Yes, it is true that Collecting Coins is known as the "Hobby of Kings"!. There have been many rich and famous coin collectors throughout history, including kings and several United States Presidents. But for every rich and famous person in this world who collects coins there are many more everyday folks just like you and me who are also collectors. Let us be your Coin Collecting Guide as you begin your historical journey through the world of beautiful and interesting coins. Anyone Can Be a Successful Coin Collector. All it takes is the willingness to learn new things. I got started collecting coins like lots of folks, I imagine. I just happened across an unusual coin and I was curious about it, so I stuck it away so I wouldn't spend it. Almost everyone has a "special" coin that they hold on to for some reason or another. Maybe it is an old Buffalo Nickel or a silver dollar that your grandparents gave you. Maybe it's an Indian Head Penny or a Kennedy Half Dollar. These "keepsakes" can be a great start on your coin collection. You see, there is no right or wrong way to collect coins. You can collect whatever coins you like or find interesting! Before You Buy the Coin!" 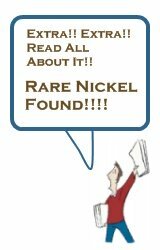 This is a very popular saying among coin collectors. It simply means that you should learn all you can about a coin that you are interested in before you jump in and spend your hard-earned money. You want to make sure that you get your money's worth and that your coin will someday be worth more than you paid for it. Even though most people intend to keep their coins for years, it is still nice to see an increase in your investment. That's why I created this guide to collecting coins. To give you the information you need to know to make your new hobby fun and "stress free". The best way to get started is by going to the section called Starting a Coin Collection. You can reach it by this link or by clicking on Getting Started in the menu to your left. Finding Other NumismatistsNumismatics is the scientific study of currency and its history in all its varied forms. a person who collects numismatic items, especially coins. Mint Marks - Learn what they are, why they are on coins, where to locate them and how they affect the value of coins. Coin Values - Learn what factors determine a coin's value and how you can learn to grade and value coins yourself. Coin Care - Learn how to take care of your coins including handling your coins, when and how to clean them and the best ways to safely and securely store your coins. Learn the Meanings of Terms used by coin collectors and dealers and check out the Anatomy of a Coin. Numismatists have a unique and interesting lingo all their own. 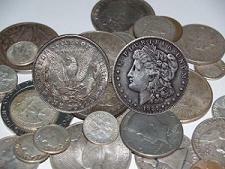 Learn about what Supplies and Accessories you will find helpful and useful as a coin collector. So, just jump right in and have a look around! I know you will find lots of useful information about collecting coins to help you get started in your new hobby! And don't forget to check back often. This Guide to Collecting Coins is a work in progress. It will grow day by day and week by week forever! It doesn't matter which coins you decide to collect. You can be successful at this wonderful hobby by just learning everything about the particular coin or series of coins you are interested in collecting. When it comes to collecting coins there are no fixed rules. You decide what to collect. The possibilities are limitless.